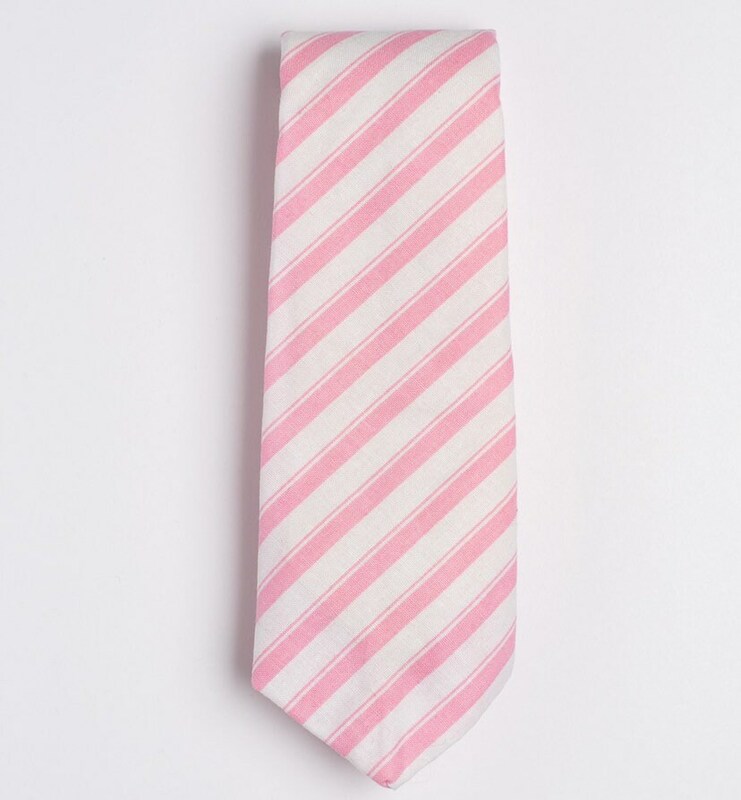 Men's striped pattern pink and white cotton necktie. Handmade suit and wedding accessory. 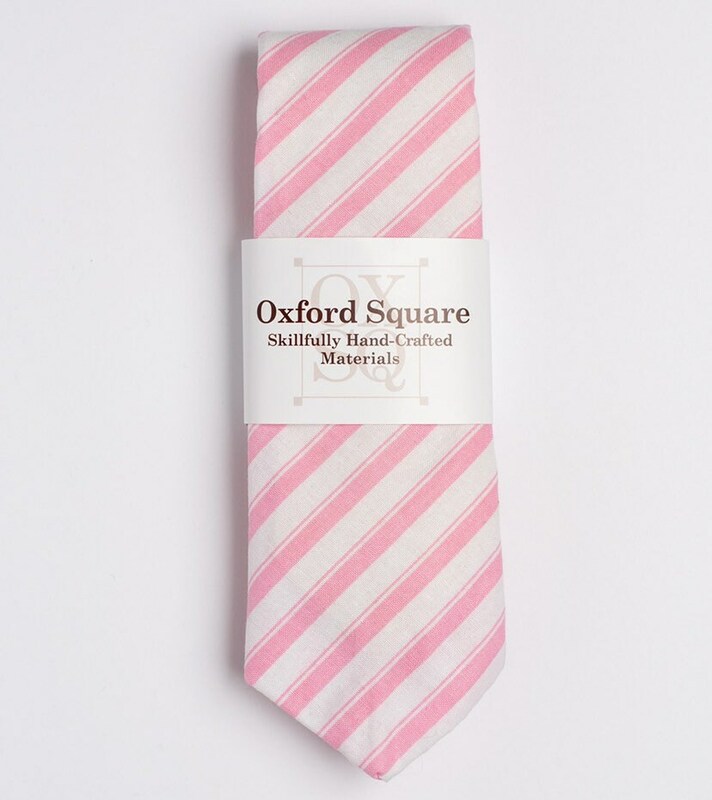 The "Why Am I Mr.Pink?" 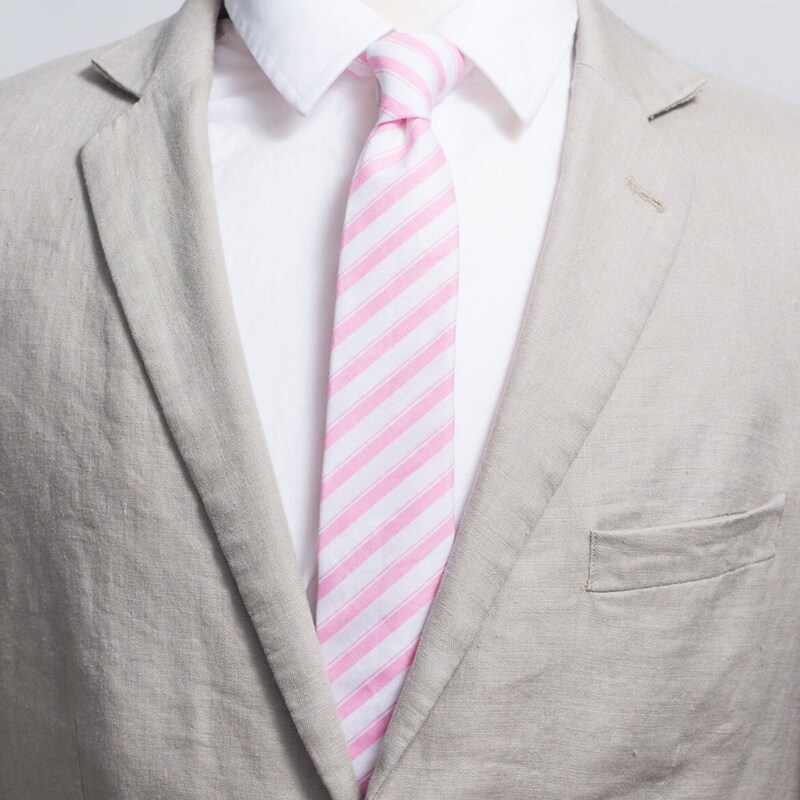 tie would step up your style and is a must have classic tie for any collection.